Here's another great offering from Goldin Auctions to sink your teeth into. Their current auction is now live and closes on July 12th. 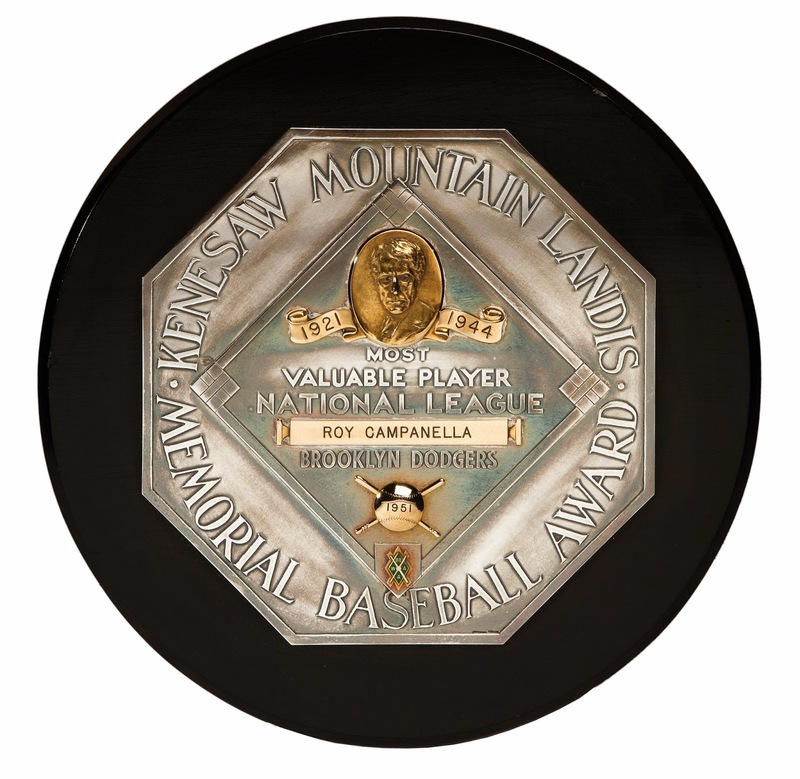 Clearly, the most impressive Dodger memorabilia item is Roy Campanella's 1951 National League MVP Award. This is the real deal! Bidding is already at $55K. 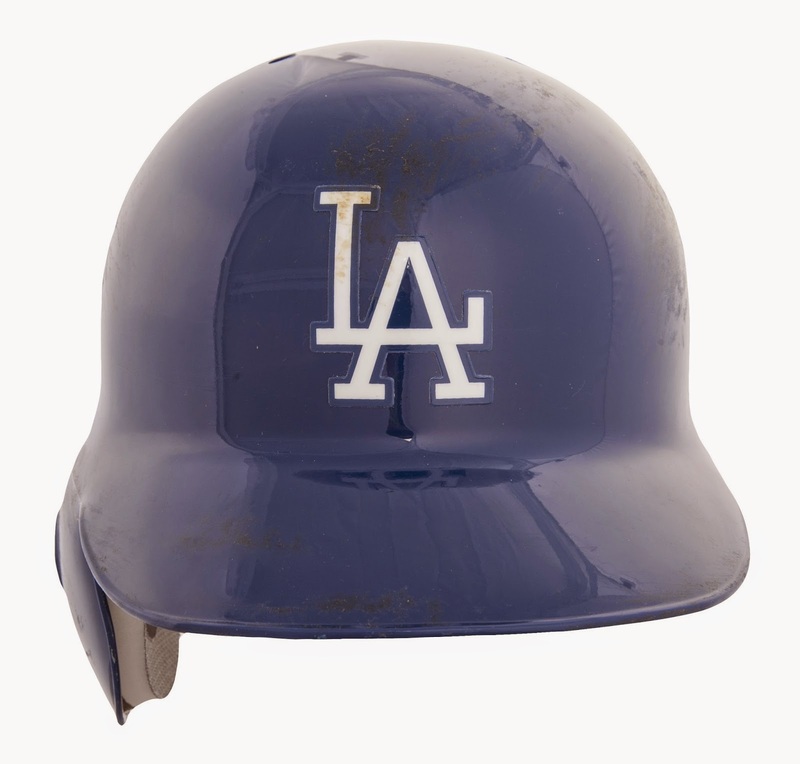 And, how about a couple of game-used Dodger batting helmet of Andre Ethier. 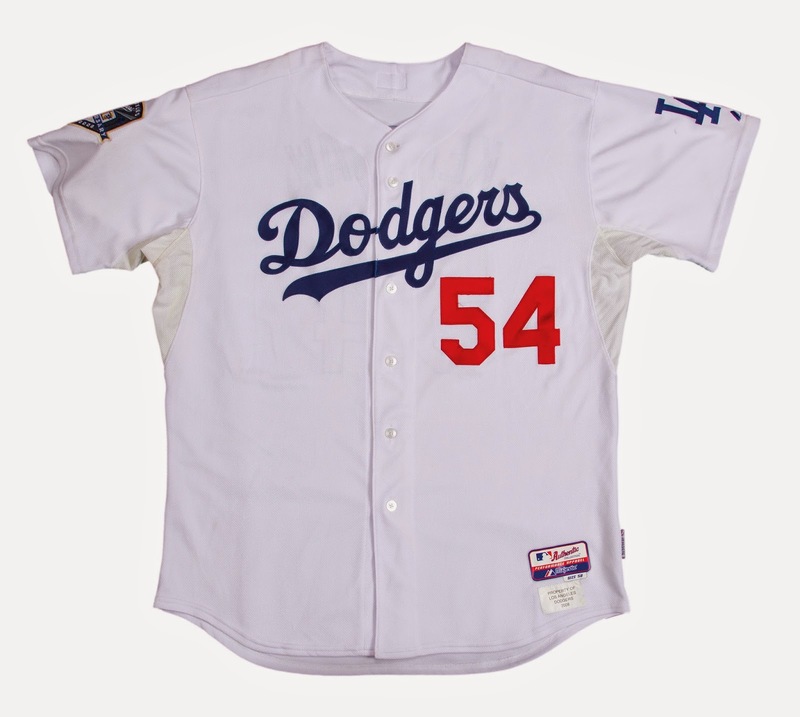 It was worn in a game against the Giants on October 3, 2012 - the Dodgers last home game. 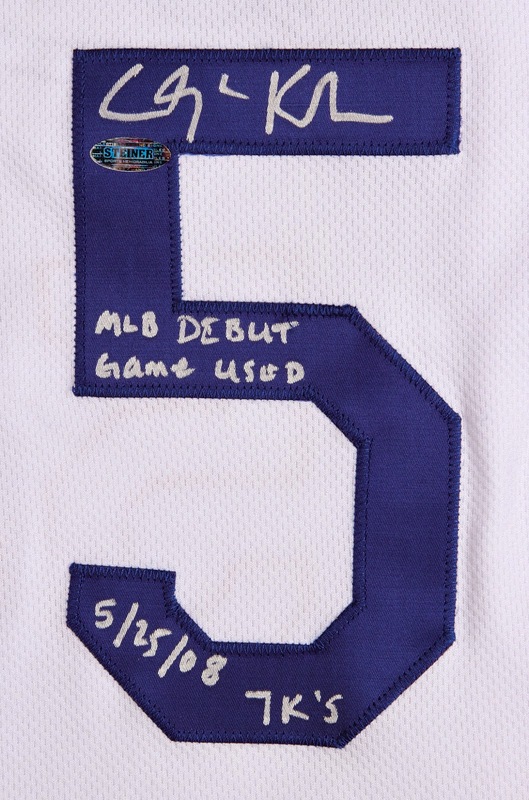 Considering his current career trajectory, this item needs to be in a museum. 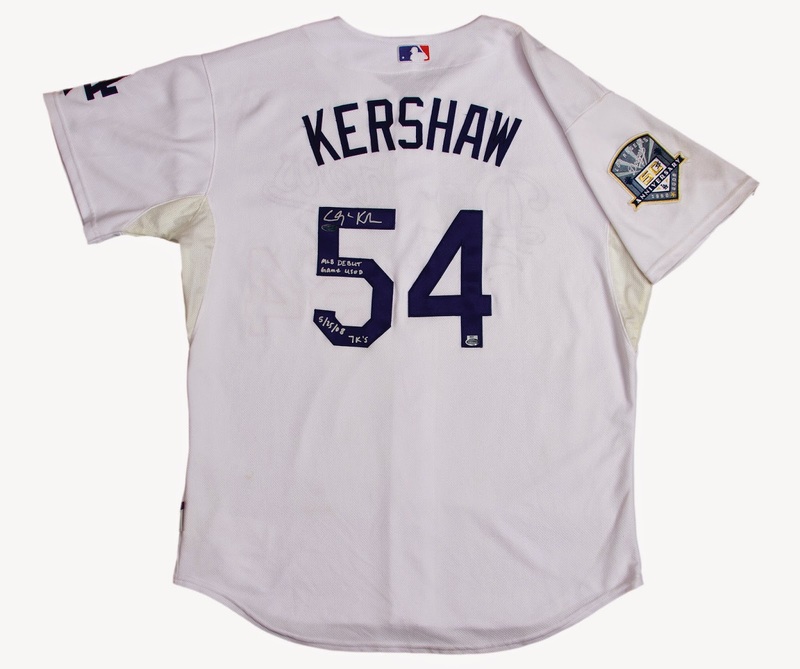 Below is Clayton Kershaw's game-used uniform from his very first Major League game. 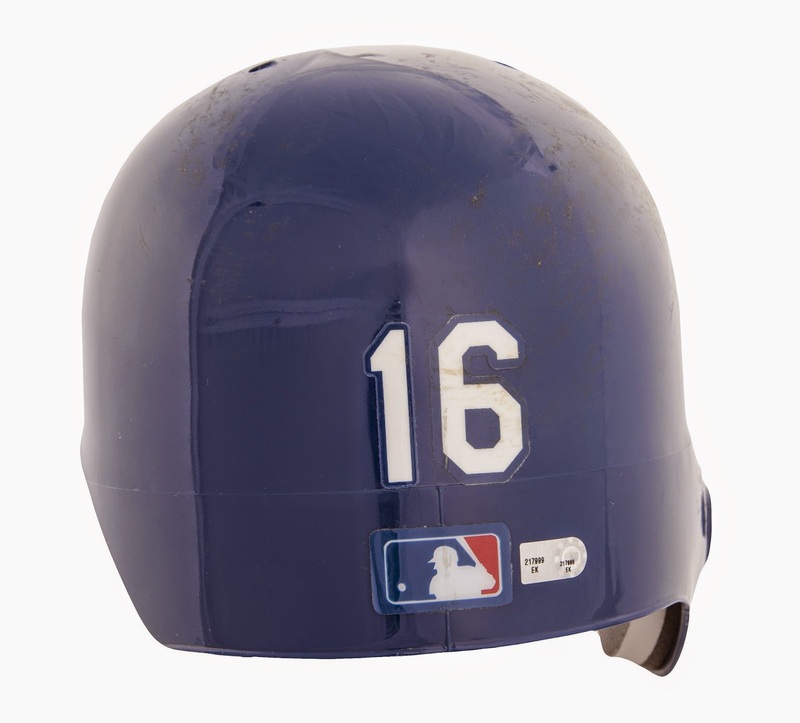 It was worn on May 25th, 2008 in a start against the Cardinals. He went 6 strong innings; giving up just 2 runs and striking out 7. Unfortunately, he did not receive a decision. The Dodgers won the game 4 to 3 in the 10th inning. Andre Ethier knocked in the game-winning run with a walk-off single - driving home Juan Pierre.